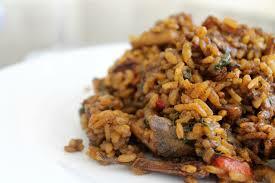 Arroz con Calamares - Rice with Squid - Tienditadepuertorico.com - Buy Puertorican Food Here!! medium heat for 5 minutes. Add the remaining ingredients. Bring the liquid to a boil. Reduce the heat to a simmer and cook until the liquid has evaporated.